Hi everyone! I just discovered a privy pit under my back patio in Center City Philadelphia. I'm not sure exactly how old my house is, but it's at least 100 years old. Is anyone interested in digging for bottles with me? HAVE YOU FOUND ALOT OF COLBPLT BLUE BOTTLES? Not lately but yes a pretty decent amount. Once we dug 35 1850s blue beers and sodas in onr pit. While digging fence holes in my Cobble Hill back yard, we've uncovered a well or privy. It's a bit deep, with stacked stones in a round shape the size of a hula hoop. No evidence of treasure, and we cannot stop to do an exploration, alas! Hello!A New friend I just met in MO. has brought to my attention that he was digging to make a garden in his yard this summer. While digging he came across a collection of old bottles buried right there in the dirt. How they got there is a mystery but he claims his yard is full of these items. Would you please help us out by giving the reason how any why he stumbled upon this mystery if you could please let us know.SincerelyTommy T.
Hi Tommy the house must be an older one. I don't know what kind of bottles you are finding but back in the 19th century people threw their trash down the "outhouse hole" especially if it was located in a town or city. There was no where to go with the trash, So down it went. Also they would dig small holes better known as "Trash pits" and bury small amounts of bottles etc. Sounds like he is finding trash holes. Outhouse holes "prvies" are 8 to 10 feet on an average. Hello! A New friend I just met in MO. has brought to my attention that he was digging to make a garden in his yard this summer. While digging he came across a collection of old bottles buried right there in the dirt. How they got there is a mystery but he claims his yard is full of these items. Would you please help us out by giving the reason how any why he stumbled upon this mystery if you could please let us know. Sincerely Tommy T.
Thank you so much for this page. I work in film/tv production, and you need to know how valuable your work is to those of us who do this job. 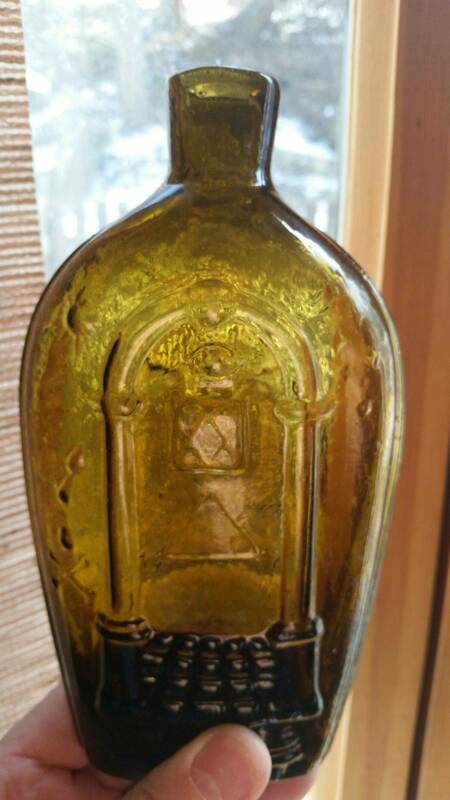 At the moment, i am looking for two laudenum bottles, circa 1842, and another pair for 1859. (We need doubles on everything we use, so the two bottles for each era must match as much as possible.) Not an easy task, but your page helps to at least know what I am looking for! I live in Baltimore County Maryland in an approximately 200 year old house. Wherever I dig on the property I find pieces of plates and other pottery. I would like to know if anyone in the area would like to search for and dig the privy. A lot of useful and interesting information here for beginning diggers, thanks. I live in North central Westchester County NY and there are plenty of places to dig. Beautiful stories and pictures. Great site! Where do you live Mike? I found a dig site that as far as I can tell goes back to the 1920's. I have unearthed 100's of bottles. Is this site old enough?